Hi guys! 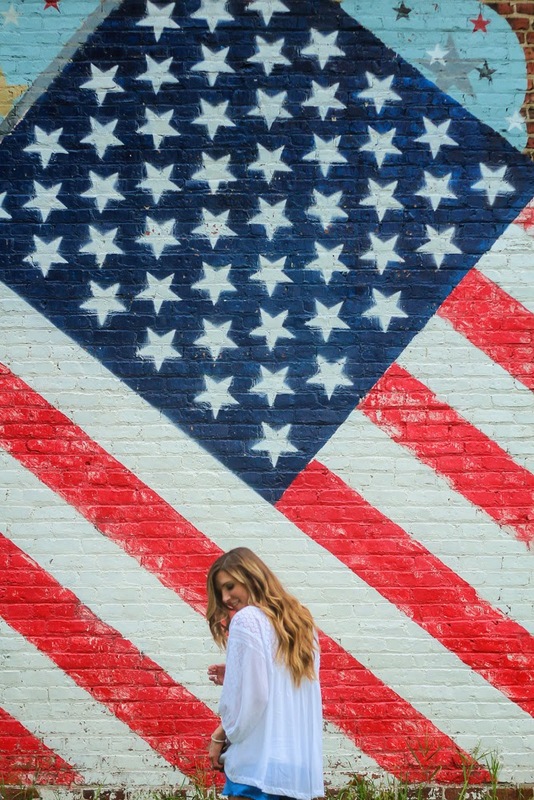 Excited to be collaborating again with ever so cute – Aubrey on some fun fourth of July maternity style. 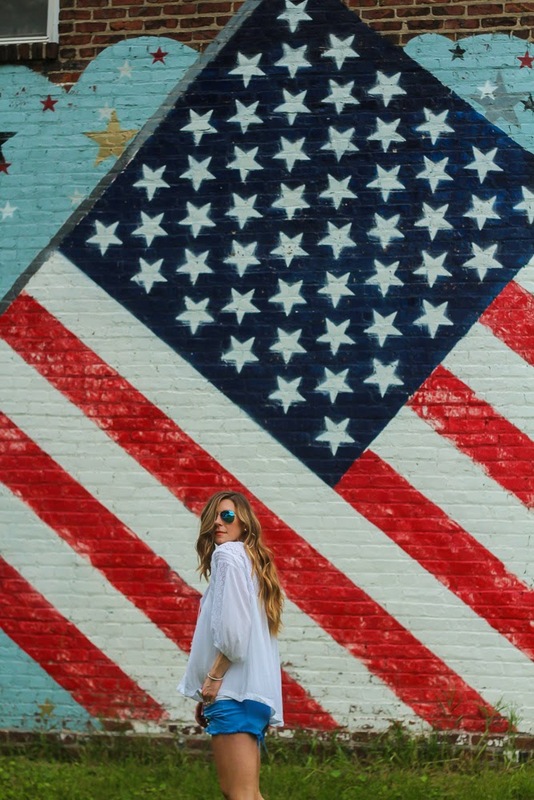 The fourth of July has always been one of my favorite holidays. The weekend would always consist of boat rides on the lake, bbqs, putt putt golf and hand-dipped ice cream cones. When it comes to choosing an outfit, I suggest keeping it fun! 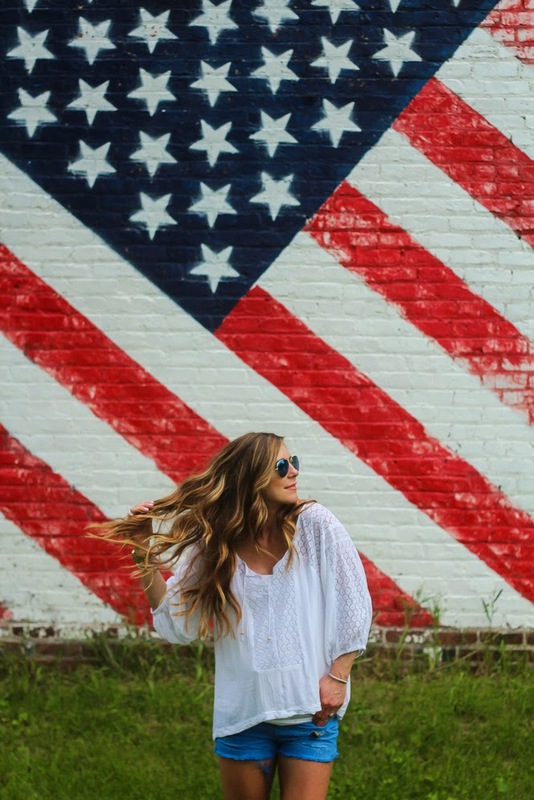 Be patriotic and wear some red, white or blue. 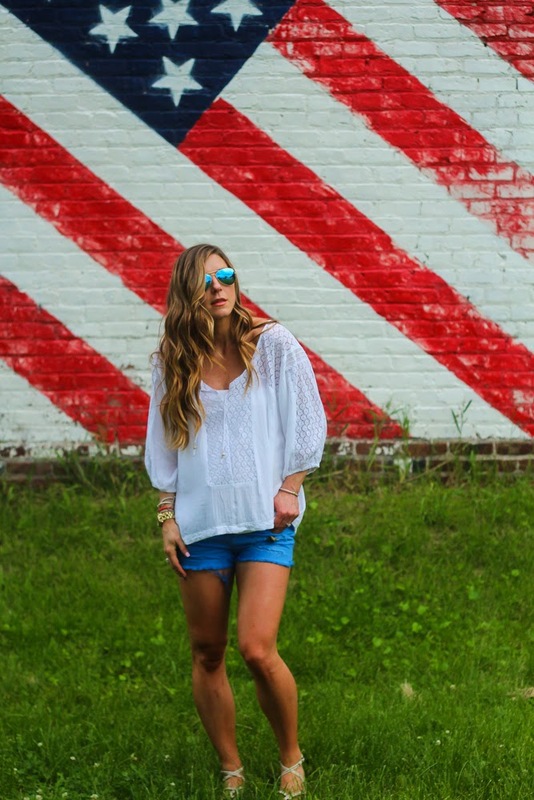 I choose to keep it casual with bright blue denim cutoffs, flat sandals and a flowy lace top. It’s fun, comfortable and cool for my baby bump. 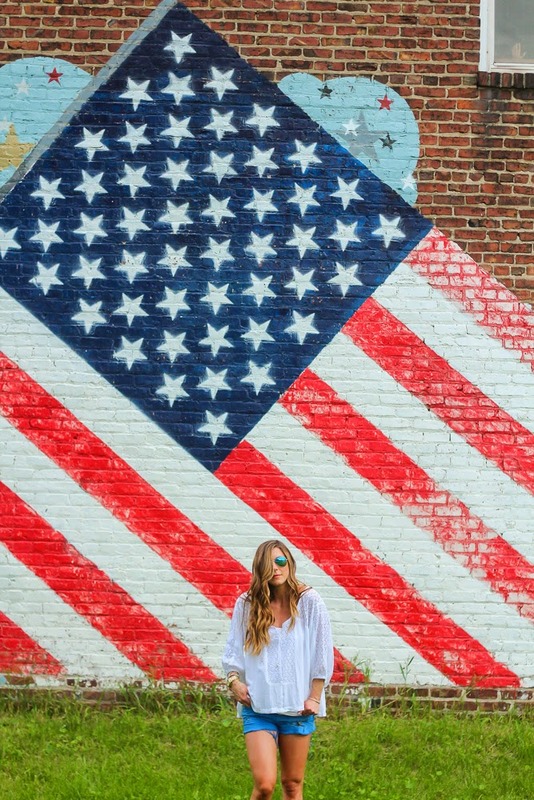 Make sure to swing on over to Aubrey’s blog to see how she styled her fourth of July look! Hope you all have a fun and safe fourth of July! Thank for stopping by and I love hearing from you! 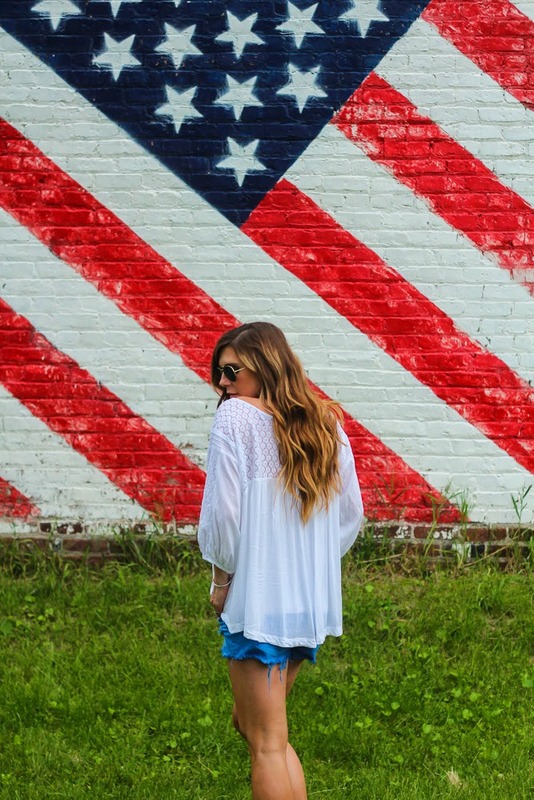 Loving this very bohemian look on you! That blouse looks so comfortable and light! GORGEOUS look! 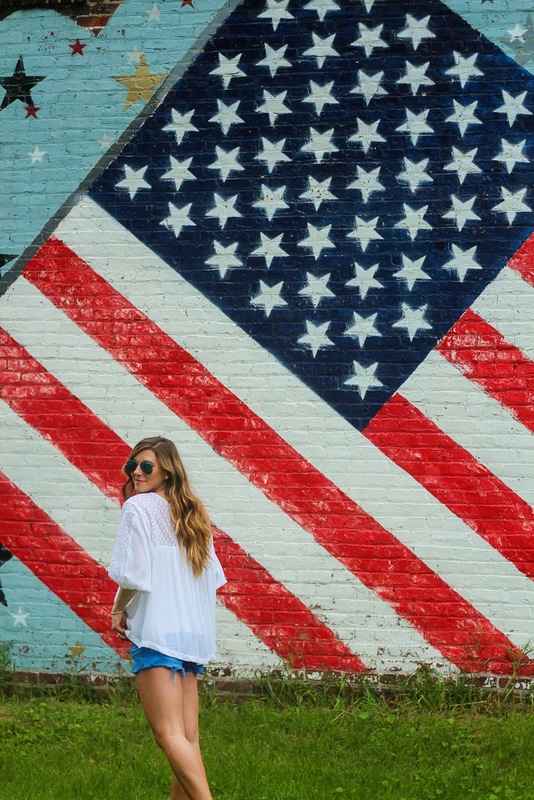 Perfect for the 4th! Love the backdrop too! 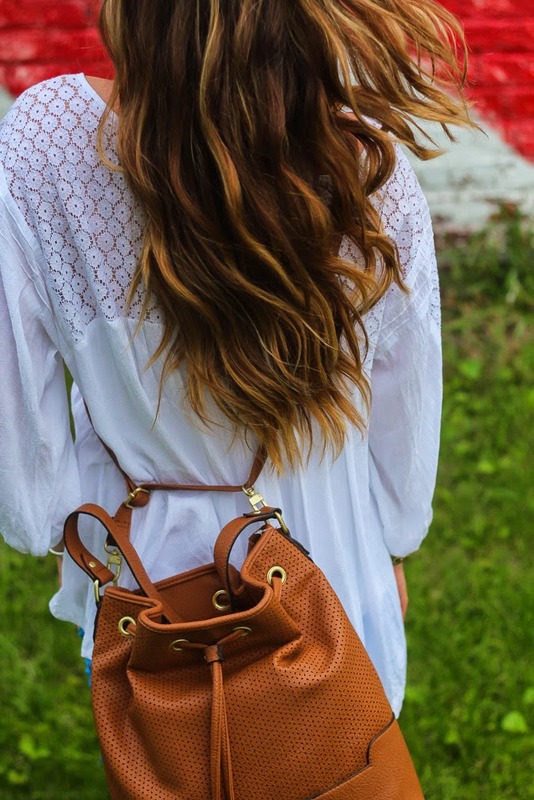 Love this boho look and your hair is glorious! That wall is amaze! 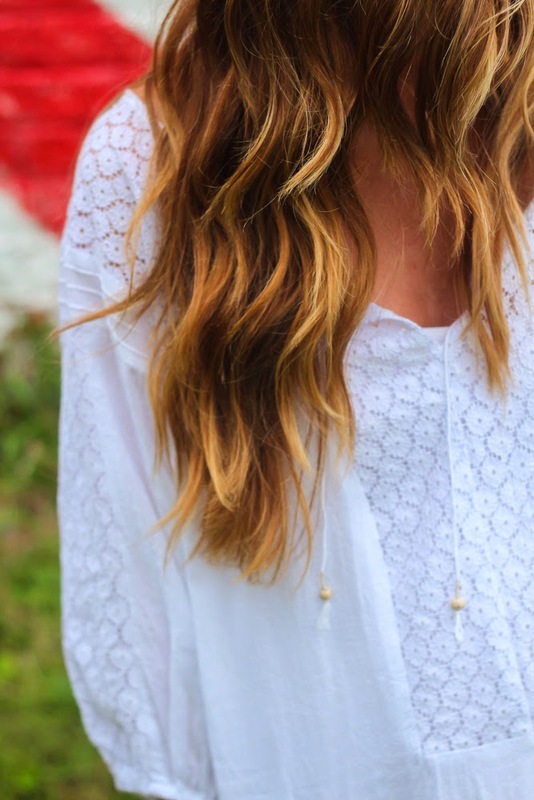 Love the boho look and top!